Umpqua Valley’s winegrowing history dates back to the 1880s when German immigrants planted the first wine grape vineyard in the Valley. Today, we are home to more than 37 wineries. It is our broad diversity of microclimates and soil that makes possible the successful growing of over 40 wine-grape varieties — from Pinot Noir, Chardonnay, Cabernet Sauvignon and Merlot to fruity and floral Rieslings and Gewürztraminers. And new vineyard owners are expanding the Umpqua’s grape list to include other international favorites. 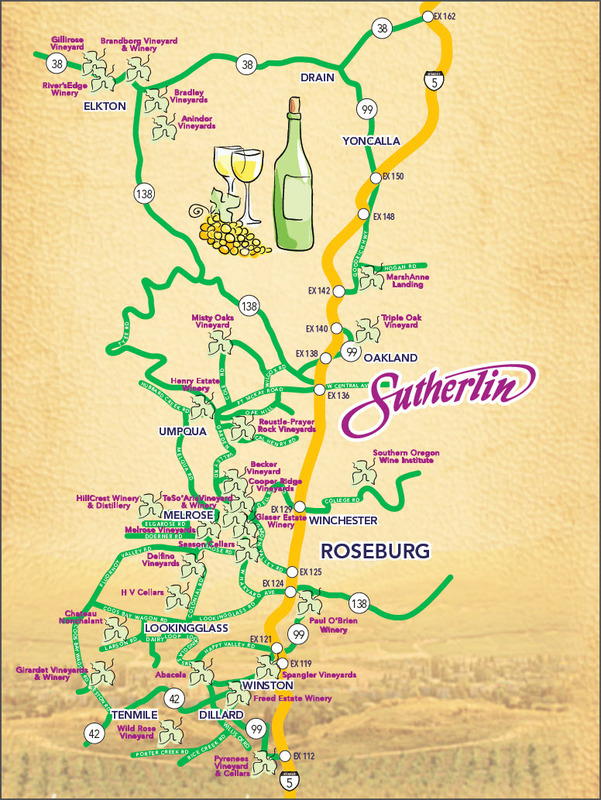 View the map and explore any of the wineries throughout our region. Call ahead or visit the wineries online for detailed information and tasting room hours. View a list of our wineries and vineyards.